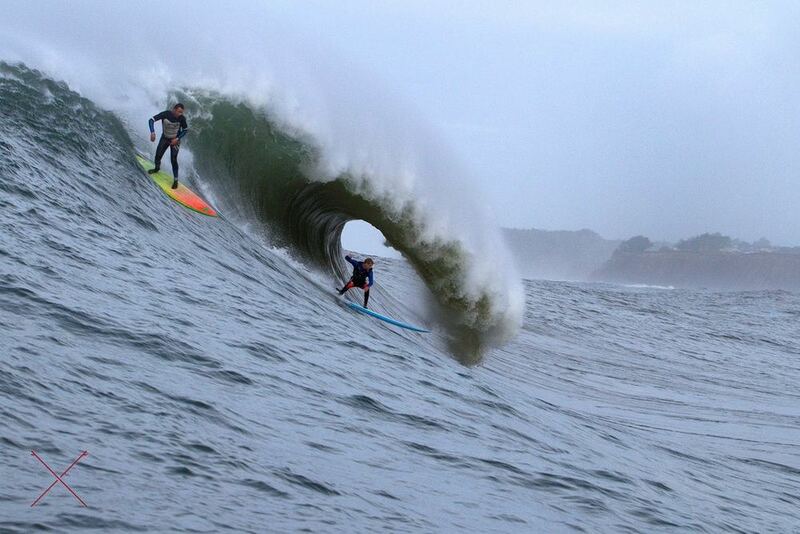 Mavericks went off last week, and Matt Becker was ready for it. He ended up getting a few big bombs. This is what he said about the historical day of surfing. "December 20th was such a heavy day. It was a dark gloomy day, with a ton of action packed into it. There was so much going on with skis, drones, and tons of boats and spectators out there all to watch and support some of the most progressive big wave surfing I've seen. We pulled up in the early morning and the first wave we saw was some poor guy straightening out on 25 footer. There was good, clean, consistent big surf all day... and the performance level was through the roof. There were so many good surfers and good waves ridden , it's hard to say who stuck out . First to my mind would be Nic Vaughn, Jamie Mitchell, and Shawn Dollar. They snagged the biggest waves of the day in my opinion. 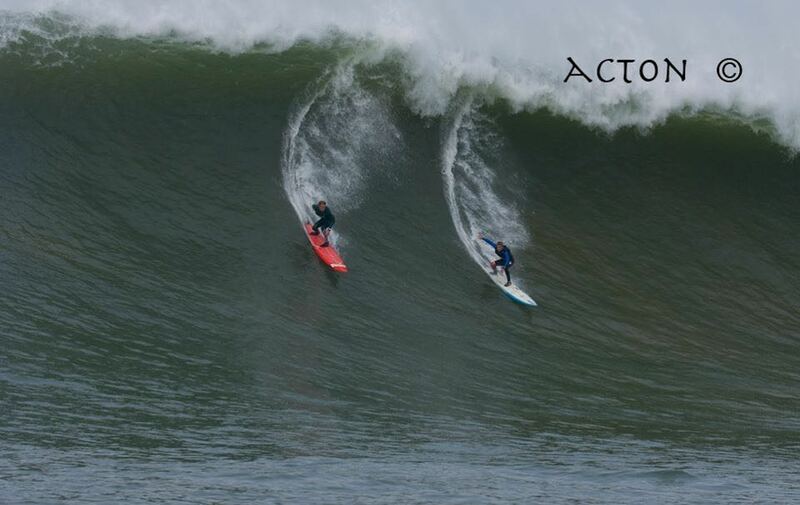 Anthony Tashnick, Kyle Thiermann, and Pat Gadauskus all got same insane waves. There was a huge Hawaiian presence this swell also; I watched Francisco Porcello, Shaun, and DK Walsh get some unreal bombs... you wouldn't have ever guessed it was their first session out there." Morgan Hoestery, Allison Riddle, George Plesk, and Jack Bark went to Tahiti for a week, and this is what they came back with. Morgan Hoesterey is starting The Sunday Sessions, a new video of people having fun in the ocean every week! Here's clip number one! "Hanging with Jack Bark is never not fun. Especially when there is a downwinder involved. The Davenport Downwinder in Santa Cruz is one of the most fun things I have ever been lucky enough to do, and paddling next to a super stoked Jack Bark just makes it all that much better. 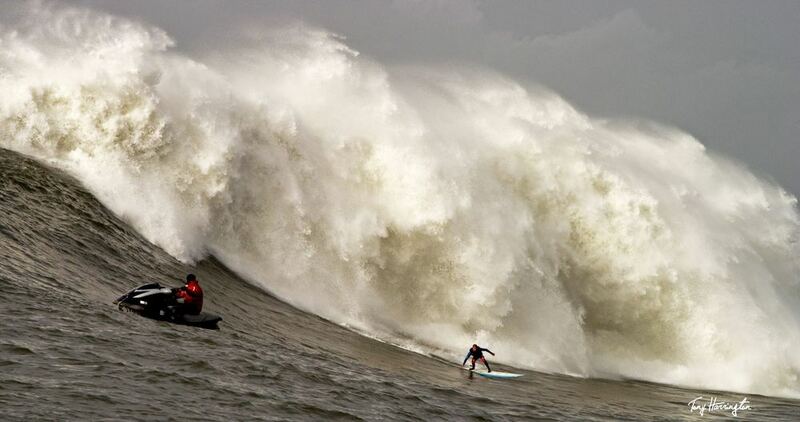 A few days before this year's Jay Race in Santa Cruz, Jack and I (along with Joe Bark and Chris Aguilar from Fin Film Company) managed to sneak out for a bit to catch some open ocean waves..."
Scotty Bredesen Takes On The Wedge During Hurricane Marie. The Molokai2Oahu paddleboard race this year was amazing! There were great race conditions, and each division was stacked full of fast athletes. Matt Poole took home the men's UL division on his Bark unlimited. Jack Bark and Carter Graves also won the Stock paddleboard class on the Bark Surftech Commander. Check the full results here. Congrats to all who finshed the race, amazing accomplishment! Thanks to the amazing sponsors and to all the men and women who volunteered to make this one of the best races out there! The BARK team went up to Lake Tahoe for some downwind training and the Race The Lake race. They scored insane wind, and killed it in all the races. Check it out. 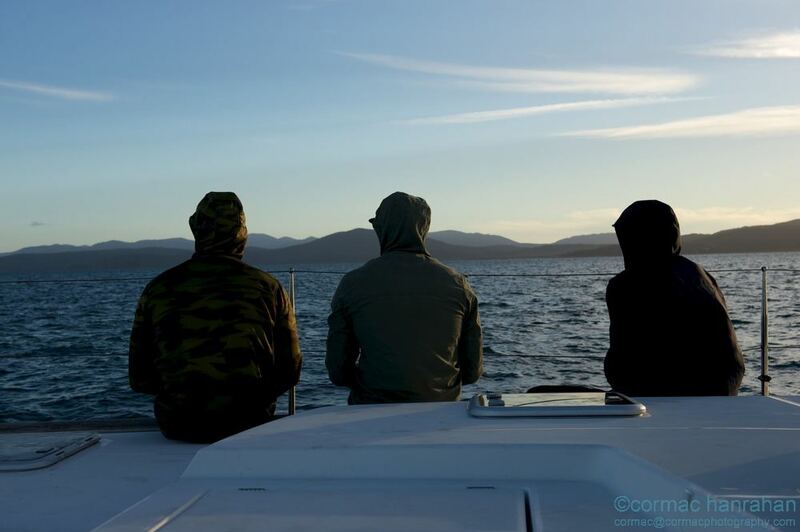 This past March, Zeb Walsh, Brad Gaul, and Jack Bark took on the challenge of a lifetime. 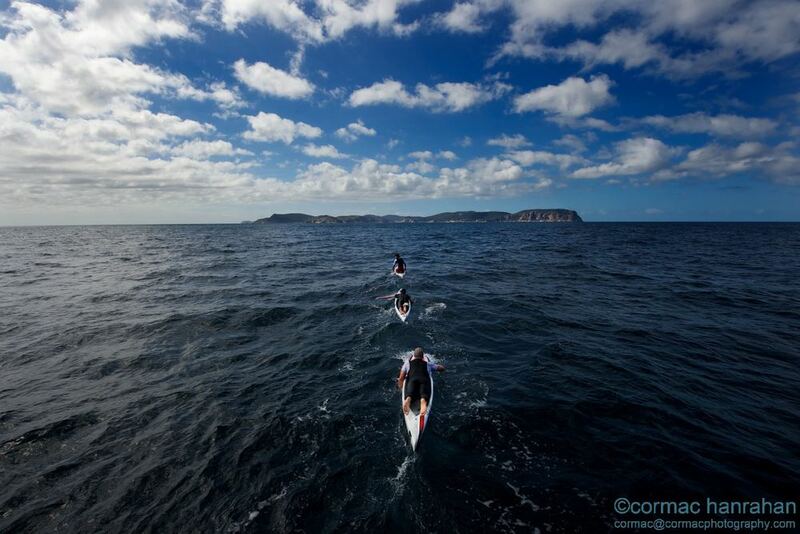 To paddle from Mainland Australia to Tasmania, a 300 kilometer journey through some of the wildest seas in the world. After settling in after completing their world record paddle these are their thoughts on the trip. This paddle was a dream I have had for like 10 years. After Molokai, I hit Jack up to do it and he was super keen which was classic cause he knew nothing about the Bass Strait before hand! Haha. Once I had locked Jack in, I rang Brad. I knew if Jack and I were in, there was no way Brad was going to let us go without him. So we had our team and in my eyes there was no way we could have gotten a better team to paddle this Strait. Brad pretty much hasn't lost a race in the last 2 years. Jack, well, he is the skinniest kid I know but probably the only person I know that, if he wanted, he could equal Jamie 10 straight Molokai wins but on a stock board. We made it hard for Brad by making him paddle a stock board and we were lucky enough to have the great Joe Bark give us 3 New SurfTech Commanders to paddle. So it was all set to take part in what was probably the biggest adventure we had done to date. So the biggest part of the trip was the paddling. 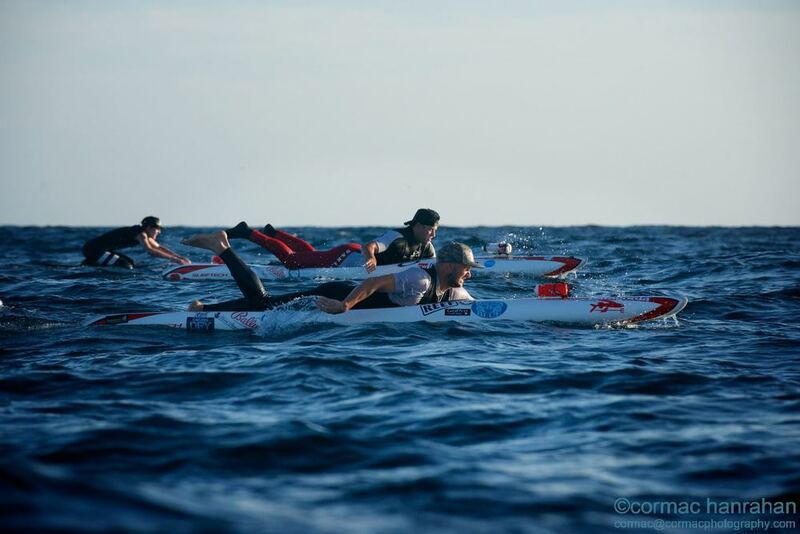 We are all distance paddlers but what we were looking at was six Molokai2Oahu paddles in eight days. I thought we all could do it before hand but after the first day I will be honest I started to worry a little bit. haha. After two lay days of bad weather we did the last five days straight and it hurt. But if it was easy it wouldn't have been an adventure. We got to learn about one and other and ourselves and we can do what ever we want as long as your willing to hurt your self a little. It was the hardest but most satisfying paddle I have ever done and I can't wait for the next one!! For me in the end I was so stoked to fulfill a dream that everyone told me wasn't possible, and to share this with Jack & Brad and our support team. I don't think I can write how it feels for me. But I will say this isn't the one and only crazy paddle adventure we will have together! The sky is the limit and with the friends we have everything is possible. Over all, it was the wildest, hardest, yet most fun trip I’ve ever been on. To start it off, we couldn’t have had a better crew out there. Captain “Nudge” brought the most laughs to the downtime on the boat, as well as checking the weather 24/7 to get us in the best conditions possible. Having Dean Gardner out there with us was also amazing. One because he’s a legend, and two because he knows so much about the ocean and was key in keeping us motivated. The film crew we had was epic. Mic, Cormac, and Blake are all very talented at what they do and super awesome dudes. And then getting invited to go with Zeb and Brad, hands down the best stock and unlimited paddlers on the planet right now, it was a dream. Over all, I’m so stoked for Zeb to have completed this dream he’s had since he was 15! Such feeling for his family to see him accomplish the paddle, something people thought couldn’t be done. Now I have an incredible friendship with Brad and Zeb and some amazing stories to go with it. We jumped in the icy Tasman and left and it looked spectacular with the beautiful deep blue ocean underneath. A seal even followed us for an hour from Wilsons Promontory. Land began to fade behind and the further we got towards the horizon, the side chop grew. It was our first taste at how much the wind would control the paddling conditions... and the morale for that matter. Despite a relative flat swell, the winds would get so strong at times there would be three to six foot chop. Six hours of the nose going up and down through the chop, and the board getting caught in the wind while one arms trying to paddle, and the other is stabilizing the board is torturous, and heartbreaking at times. The way the currents pull in the Strait is like nothing I’ve ever experienced. It can pull up to three and a half knots, almost 10km/h. For much of the first day the current was working against us, and a five-hour paddle turned into a seven-hour battle. When you get caught up in a current you just feel like you’re in the hands of Mother Nature. She’s calling the shots; you’ve just got to deal with them. As our paddles went on, our bodies went into complete survival mode. Muscle fatigue was the first thing to rattle my body. Rashing too. Then my knees went and my neck locked up. That’s where you learn alot about yourself. The emotions came on without even knowing. One moment I’m spiraling into a really down moment and would be crying, then 5k later I’d be back on a high thinking, “How good is this?”. We all went into this felling pretty tough. Doing Molokai you have to have some mental toughness. But we came out of it enlightened. The last day we had to gun it across the channel otherwise the weather would lock us in at the island for 3 days. This was the 66k day. It took us 9 hours. I spotted in the distance these little white things in the water. As we got closer, we saw they were 3-foot stationary waves, forming due to the tide change, in the middle of the ocean. In the end, the boat had to stay way outside of us or it would have flipped due to the currents and howling side wind. Making it to the beach in Tasi was incredible. The feeling of winning is one thing. But this was a feeling of relief and achievement. There’s a bond between us now that’s pretty unexplainable. Everyone has a pain threshold, but it's not untill you go beyond it that you realize what’s really possible, and it proves the power your mind has over your body. 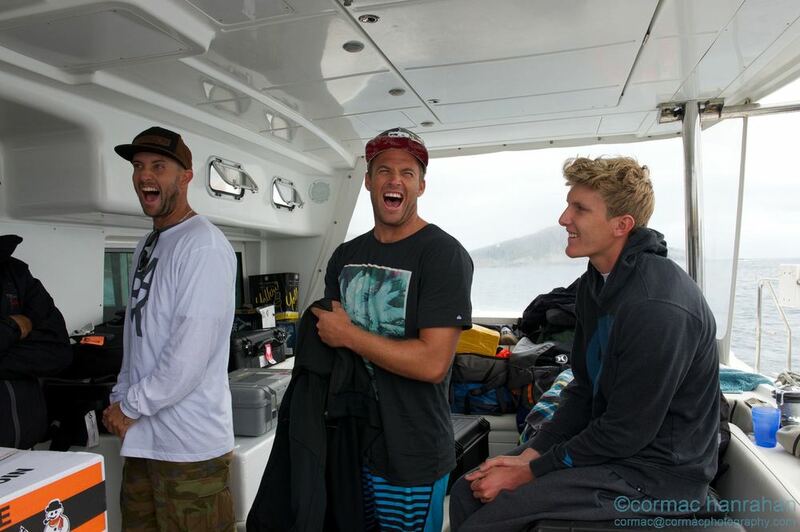 Check out the highlight reel from this years Surftech Jay Moriarity Memorial Paddleboard Race! Great job to all the competitors, and thank you to Surftech and all the volunteers for putting on one of the best paddle races in the world!